The man he was replacing at Nancy was former player Hervé Collot. The full back had spent his entire playing career at Nancy, with two runners-up medals in the Coupe de France and a career spanning thirteen years, not to mention two years in charge of Les Chardons, Wenger had some big shoes to fill. What better way for the Wenger era to start and a trip to the Parc des Princes to take on the mighty Paris St-Germain, as 17,000 fans turned up to see their side sweep aside lowly Nancy. Nancy’s Didier Casini had different ideas and put the away side a goal up, though the dream start didn’t last long and PSG soon went ahead 2-1. The match ended with the home fans stunned to silence as Albert Cartier, Robert II Jacques and Francois Zahoui all found the back of the net to give Nancy a wonderful away win, and Wenger racked up his first three points. AS Nancy’s Zahoui and Casini, football stickers from 1986. Courtesy of ASNL Story. Unfortunately the homecoming parade was cut short as Bordeaux came to town and in front of 15,000 excited and intrigued home fans midfielder Alain Giresse, part of France’s Euro 84 winning team, scored the only goal of the game. The home fans would have to get used to this losing feeling as throughout Wenger’s three seasons at the club it happened more than any other result. Nancy would go on and take part in what can only be described as an inconsistent season, finishing in eleventh, a respectable position and six points away from relegation. It was not all doom and gloom for Wenger’s Nancy as they managed to do the double over French giants Marseille. Travelling to the south of France to take on L’OM in the fabled Stade Vélodrome, the home side featured Englishman Laurie Cunningham who had only four years previously won La Liga with Real Madrid, and the current Marseille Sporting Director and former defender José Anigo. In a tight game it was left to Nancy’s Uruguayan midfielder Ruben Umpierrez to grab the winner. To up the ante he waited until the 90th minute to take his moment. Umpierrez went on to win the L’Étoile d’Or award for player of the season. It was a fantastic achievement for a player who played over 200 games for Nancy and scored 63 goals. With six weeks to go in the season Marseille travelled to Nancy who knew they had to win to help their fight against relegation. Wenger’s side weren’t in a generous mood, and although Cunningham put L’OM ahead, Eric Bruno equalised just after half-time and then Umpierrez scored a brace to sink the famous Marseille. Unfortunately there is very little information on how Wenger set out his team in the Nancy days. There are nods to the attacking principles he uses with Arsenal today; in his first season, although finishing eleventh, Nancy finished the season with as many goals as fourth placed Auxerre, then under Guy Roux, although they conceded fifty four to give them a goal difference of -1. The defence was obviously a problem; three teams below them had conceded fewer goals. The 1984-85 season ended in just a spectacular fashion as it had started. PSG made the trip to Nancy trying to avenge the 4-2 defeat that started the season and seal a finish above Wenger’s men. With nothing to play for less than 4,000 fans turned up to see the home side give PSG a 6-1 hammering. 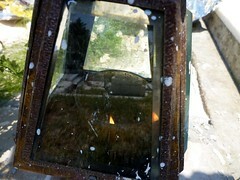 Maybe the good feeling could continue to the new season. How the fortunes of PSG and Nancy were to change for the 1985-86 season. Paris St-Germain were crowned Champions and Nancy finished 18th, and had to take on Wenger’s old club FC Mulhouse over two legs in a Playoff to save their Division 1 presence. The campaign didn’t start well. Taking on Jacques Santini’s Toulouse side, Nancy were handed a 4-1 defeat. There was better news as Wenger led his side on a four game winning streak that was only broken in a trip to the capital to take on Gerard Houllier’s PSG, the future champions. The game finished 2-0 and Robert II Jacques whom Wenger had sold to Houllier opened the scoring. Wenger would have his revenge when PSG visited, as Adriano Fegić scored after thirty two minutes to give Nancy the lead and they managed to squeeze out a 1-0 win. This was not the last time Wenger would get the better of Houllier in their managerial duels. AS Nancy’s Adriano Fegic, football sticker from 1986. Courtesy of ASNL Story. That was the high point of the season; Nancy ended the year nine games without a win which proved enough to force the playoff with Mulhouse. With the goals drying up, the defence didn’t improve as much as Wenger must have wanted. Luckily they managed to find their shooting boots for the opening home leg of the playoff; an excellent 3-0 win put them in a great position to stay in the First Division. Mulhouse tried their hardest and beat Wenger’s men 2-0 to push the game to the wire. They hung on and win the game on aggregate; Wenger would remain in the top flight. Arsène’s third and final year at the club proved to be one of his worst. 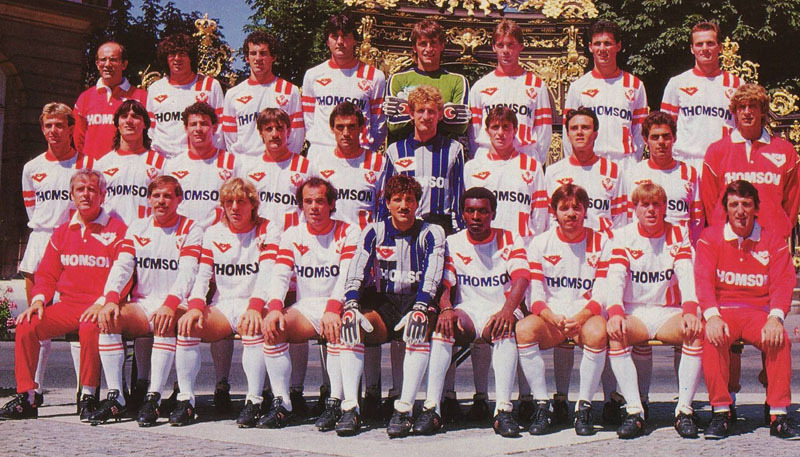 In 1986-87 Nancy only won eight of the thirty eight games played. However, although the goals had dried up; they scored only twenty eight, there is a much more interesting statistic which may give you an idea as to why Monaco took a chance on a manager who had only won 29% of his 114 games. 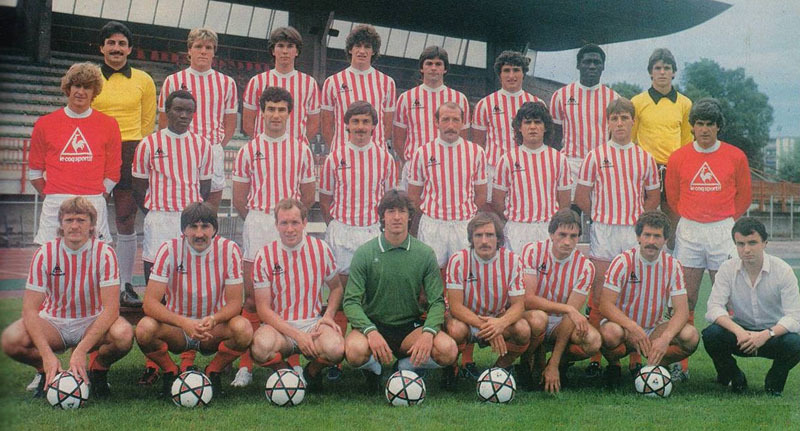 Even though Nancy would finish the 1986-87 season in the bottom two, and ultimately find themselves relegated to the Second Division, during the campaign the defence had improved dramatically. Nancy recorded an amazing seventeen clean sheets, in a season where they lost seventeen games that showed the potential his style and tactics could have on a better team. The old saying goes “what doesn’t kill you can only make you stronger.” Would Arsène Wenger have enjoyed the same success with Monaco and Arsenal had he not had the chance to hone his skills on a tight budget at a less high profile club? When Wenger finally moved to England to manage Arsenal the French influence on the side was non-existent. Nicolas Anelka and Rémi Garde came in from Ligue 1 and Patrick Vieira was an unknown quantity when he signed from AC Milan. Today the French influence is not only visible in the Arsenal squad, seven players were signed from Ligue 1 sides, but in the Premier League you can find thirty five French players plying their trade. Back in 1996 when Wenger first came to Britain’s shores only five players outside Arsenal had come from France. The influence Wenger has said on Arsenal is clear to see for any football fan. What he doesn’t get the credit for is the obvious influence the man has had on everything we find in the English game today. Andrew writes about football on his own prolific site GibFootballShow, where you can find his most excellent award-winning podcast. You can also read his mind on Twitter. Good article, im enjoying your pieces on Arsene Wenger’s early managerial career. What hes done in his time at Arsenal has been incrediable. I read in a book called Arsenal:The Making of a Modern Superclub, that David Dein and Peter Hill-Wood were close to making Arsene the manager in 1995. They took him out too a restaurant in London in January of 95′ a month before George Graham got the sack but ended up giving Bruce Rioch the position. This I find interesting, as if they had offered him the job in 1995 I wonder if things would have worked out the same. Would he have spent £7.5 million on Dennis Bergkamp? Probably not, as Zidane was avaliable for £3m at the time. Would he have stuck with the old back four knowing Thruam and Lizarazu were avaliable? Also Tony Adams was still heavily drinking, how would he have dealt with this? Knowing how particular he is in his prepartion of his players would he have kept Adams? Very astute points about Bergkamp Ben, if that had been the case Wenger may not have signed him, but I believe he wanted to maintain his contract with Grampus at the time too. Adams actually came out about his addiction just as Wenger joined the club and the way they dealt with it together was one of the most positive things which he could have put in motion, so I think you can say that he would have kept Adams, and indeed the rest of the back four. He may have been skeptical about them on joining, but he soon changed his mind. Fascinating to think what might have been. Hey Ben, glad you enjoyed it. I really enjoyed researching and writing it.